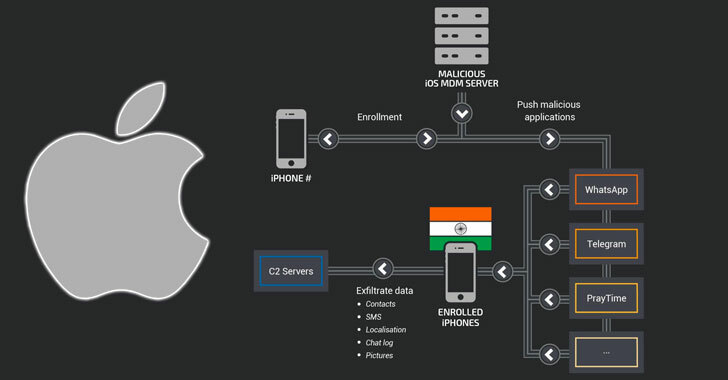 According to the researchers, the attackers behind the campaign used the MDM service to remotely install modified versions of legitimate apps onto target iPhones, which were designed to secretly spy on users, and steal their real-time location, contacts, photos, SMS and private messages from chat applications. 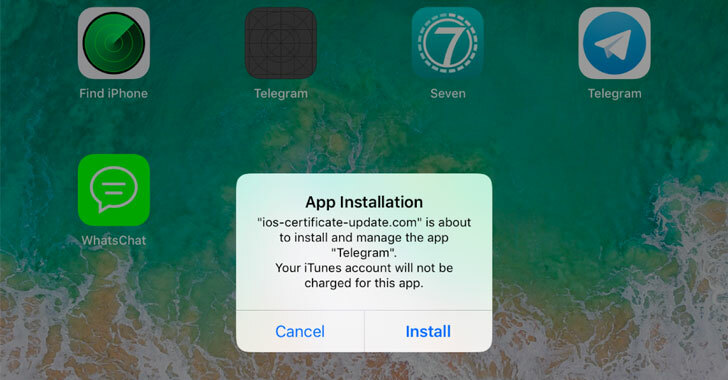 To add malicious features into secure messaging apps, such as Telegram and WhatsApp, the attacker used the “BOptions sideloading technique,” which allowed them to inject a dynamic library into the legitimate apps. “The injection library can ask for additional permissions, execute code and steal information from the original application, among other things,” researchers explain. “Talos identified another legitimate app executing malicious code during this campaign in India. PrayTime is used to give the user a notification when it’s time to pray,” researchers said. At this time, it is not known who is behind the campaign, who was targeted in the campaign, and what were the motives behind the attack, but researchers find evidence suggesting the attackers were operating from India, while the attackers planted a “false flag” by posing as Russian. “Over a three-year period, the attackers remained under the radar — likely due to the low number of compromised devices. We found testing devices enrolled on the MDM with an Indian phone number and registered on an Indian provider,” Talos researchers said. 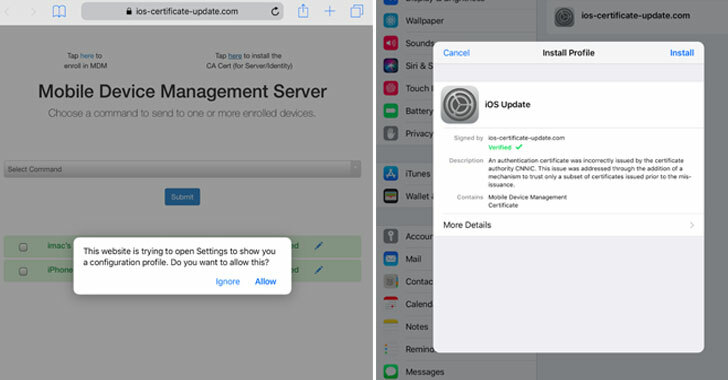 At the time of reporting, Apple had already revoked 3 certificates linked to this campaign, and after getting informed by the Talos team, the company also canceled the rest two certificates as well.